The El Conquistador Resort in Puerto Rico in 2007. Yes, I do. I have, at least since July 1996, when serendipity came down and struck me right between the eyes and led me on the cushiest assignment I have ever had in 45 years of reporting. One week in one of the most luxurious resorts in Puerto Rico, the El Conquistador, situated on a bluff at the very easternmost tip of the island, overlooking the blue waters where the Atlantic and Caribbean oceans come together. And all I had to do was cover the morning sessions of the National Governors Association (NGA), talk to some governors, dig up a sidebar story or two and then retreat to my lavish hotel room with the spectacular view of the oceans, the white sand beach, and look out at the tiny island of Flamenco off in the distance. I would order room service lunch, write my stories on my trusty laptop and shoot them off to the Cincinnati Enquirer 1,826 miles away. My day was normally done by 2 p.m. Then I'd do a quick change of clothes (having packed several bizarrely colored Hawaiian shirts) and head down to the beach on the funicular. How could I be so lucky as to land an assignment when the only sweat I broke was from laying on the beach with the bright Caribbean sun beating down on me? The answer: Pure dumb luck. I almost felt embarrassed taking a paycheck for that week. Almost. It began one day – somewhere around July 10 in 1996 - in the Enquirer newsroom. I knew the paper was planning on sending our then-Statehouse bureau chief to Puerto Rico to cover the NGA. 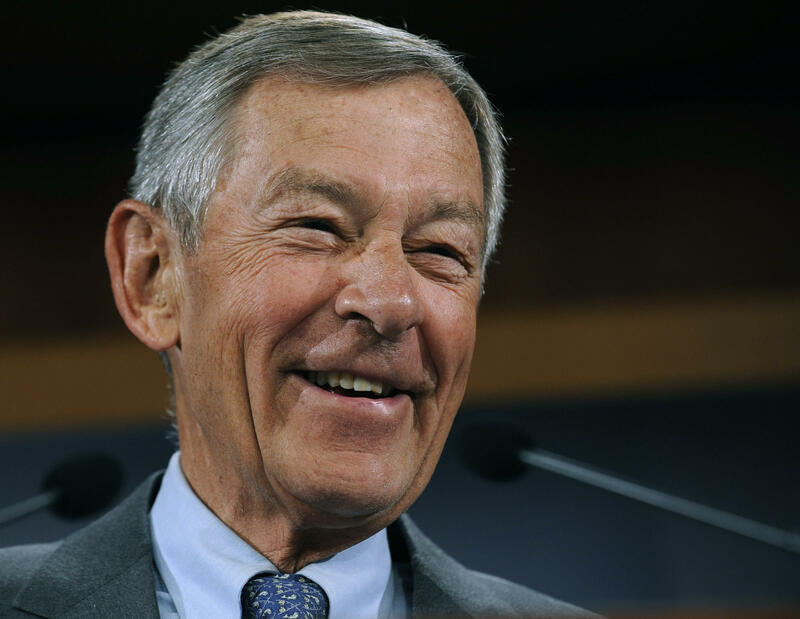 Ohio's Republican governor, George Voinovich, was a player in the organization and was due to become NGA chair in 1997. Kentucky had a brand-new governor in Democrat Paul Patton, who had been elected in Nov. 1995 and was attending his first NGA conference. A new governor was bound to produce some stories for us to write. It was only a couple of days before our Columbus bureau chief was to fly to San Juan when she got in touch with the editors in Cincinnati and said she had some pretty sick small children on her hands and didn't think she could leave them. Of course, the editors understood the problem. Then they started circling around my desk like a flock of red-tailed hawks. Sandy's kids are sick. She can't go to the NGA in Puerto Rico. She's supposed to leave Friday. Can you do it? I tried to maintain a sober look, but, inside I was wanting to do my happy dance on top of my desk. Uh, sure, yeah, I suppose I can, I replied, coolly. The hawks flew off and put one of the secretaries to work changing the airline reservation to my name, as well as the reservation at El Conquistador. I took care of calling the NGA and switching over the credentials for the conference into my name. Friday morning, I had my luggage and my laptop at CVG, with paper ticket in hand for a flight to Orlando. I had a 90-minute or so layover there before I boarded a second flight to SJU – San Juan International Airport. Both flights were uneventful – I read a book, as is my wont on airline flights. Looking around the cabin, I could tell there were others bound for the NGA on board, although I couldn’t recognize any actual governors. Aides to governors, on the other hand, stand out like sore thumbs. On the ground at SJU, we were met at the baggage carrousels by a young man and a young woman holding signs: El Conquistador, Fajardo, NGA. That's for me, I thought, as I joined about half a dozen other travelers at an over-sized van with the marking El Conquistador out at ground transportation, lugging our bags into the van and settling in to one of the seats. I noticed immediately a small wet bar and refrigerator in the back of the van, next to where the young man and woman in the red El Conquistador blazers sat. They told us that it would take about an hour to drive out to Fajardo and the resort and that we would see many small villages and lovely tropical forests on the way. We also have refreshments, the young woman said. Anyone here like a rum and Coke?, the man said. Then I distinctly remember him pulling out a bottle of Bacardi Grand Reserv 10-year rum – a very expensive brand. Well, of course, we all said yes. Emphatically yes. And so the liquor began to flow. By the time we pulled through the ornate gates of the El Conquistador Resort, I had three rum and Cokes. Now, a rum and Coke is not a particularly potent drink, but I was feeling just fine. Semi-anesthetized. I checked into my room – the one with the gorgeous view of the Atlantic Ocean on the left and the Caribbean on the right. The room with the plush king-sized bed, the refrigerator full of snacks and drinks, the wet bar. And, oh yes, a convenient and spacious desk to work, with plenty of room for my bulky 1996-style laptop and all the papers and notebooks I had to spread out to get my work done. The idea was to get in on Friday and get a good night's sleep before the first plenary session of the conference – run by then-NGA chair Tommy Thompson of Wisconsin, a governor with some presidential ambitions of his own. And I needed the time to check in on Voinovich, Patton and their staffs, just to get a handle on their schedules for the week and when would be a good time to do features on them. Voinovich was a veteran second-term governor, attending his sixth NGA conference; Patton was a rookie, having only been elected governor of the Commonwealth the previous fall. But I couldn't help but wander around the resort hotel, checking out the many amenities. There were several restaurants, all of which looked to be first-class; several bars, including a cigar bar, which became a popular landing point for many staffers and some governors; and a nightclub with stage shows. I plopped down in the middle of the hotel's ground floor, a casino without walls, just surrounded by some elaborate fencing so you could walk by and see roulette wheels spinning and the dice tumbling. It was all but empty. And it would stay that way most of the week. You just did not see anyone wearing NGA credentials – staffers or certainly governors – step inside that casino. My theory was that the resort was crawling with media types and no one who depended on voters back home for their offices wanted it known they were hanging out in a casino playing blackjack or baccarat. The resort hotel was on a high bluff, so I took the funicular down and wandered over to the beach and listened for a while as a salsa band got the beach crowd dancing. I ended up going back up to the hotel and made a stop in the cigar bar for a nightcap and a big cigar made with Cuban seed tobacco. As I smoked, I struck up a conversation with a well-dressed fellow who introduced himself as a lobbyist (can’t remember for which industry) and a very attractive woman who was with him. He never introduced her to me as Mrs. Lobbyist; he had a wedding ring on his finger; she did not. I leave it to you to draw your own conclusions. We talked for about half an hour. I paid little attention to what he was saying; I admit to being somewhat distracted. Finally, I excused myself, saying I had to be up at zero-dark-thirty to start working. And I left for my room. For the rest of the week, though, I kept running into that couple no matter where I went, and I noted that they had no hesitation about going in the casino. The next morning, I went to the first plenary session and did my duty. Substantive public issues were discussed, but, the fact is, such meetings are often very boring and one could use toothpicks to prop open your eyelids. After the session, out in the hallway, not far from the casino, Voinovich livened things up a bit. A number of Ohio reporters cornered the governor and, as usual, he was happy to talk. Voinovich had a well-deserved reputation as a penny-pincher, a man who was frugal in his personal and public habits. The most famous story (which is true) involved the governor picking a penny out of a urinal at a Columbus hotel rather than let it go to waste. He explained that he washed it off and stuck it in his pocket. On this particular morning at El Conquistador, Voinovich was not a happy fellow. He was mad at 19 of his fellow governors for deciding to skip the Puerto Rico conference. And he was mad at the two major party candidates for president in 1996 – incumbent Democrat Bill Clinton and Republican Bob Dole. Clinton and Dole had decided to break an 88-year-old tradition of the presidential candidates coming to the NGA's annual conference and addressing the governors. Dole and Clinton had both claimed busy schedules and agreed to appear by tele-conference on big screens in the main assembly hall. "Look, I know this place is a little too luxurious for my tastes,'' Voinovich said. "A little too plush. It gives the people back home the idea that we're not doing any work here. "Well, I came here to work not play,'' Voinovich said, giving me a light poke in the chest (the man had a habit of doing that, especially with reporters). "You got that? Write that down." He was the only governor I heard all week complaining about how luxurious the El Conquistador was. Another reason why I really miss George Voinovich since he passed away in 2016. As for the 19 no-shows, many of them were running for re-election that year and probably didn't want pictures of them hanging out in a luxury seaside resort. Some opponents could have had a field day with that. Yes, the resort hotel was spectacular and had every imaginable diversion. All I had to do was concentrate on my NGA coverage in the morning and early afternoon, and the rest of the time, I could enjoy it. But the truth is, my favorite part of the week was on Monday, when I joined a busload of governors and staffers for a ride of about half an hour to the El Yunque National Rain Forest, where we hiked in that place of extraordinary natural beauty. We even got to see a few Puerto Rican parrots, an endangered species. That was a truly memorable journey. I was almost disappointed that the bus took us back into the lap of luxury. During the four days of the conference, I amused myself immensely by watching dozens of gubernatorial staffers and a fair number of governors walking by the casino that had been plopped down smack in the middle of the ground floor complex of restaurants and bars. They had this look of longing for the forbidden fruit of a slot machine, the excitement of a spinning roulette wheel. It was so close they could taste it. But they did not dare partake. They did not dare cross the line. People like my lobbyist friend and his Not-Mrs.-Lobbyist companion could come and go as they pleased – they didn't have to worry about re-election. Then, on Tuesday, the last day of the conference, after Thompson had handed over the reins of the NGA to the new chair, Bob Miller, the Democratic governor of Nevada, the Wisconsin governor and some staffers did the unthinkable – they walked into the casino. No one saw them do any gambling, but they walked around and took everything in. Meanwhile, the NGA crowd outside was abuzz. The news spread through the hotel like wildfire. Soon there was a stampede of governors and staffers racing into the casino and many of them stayed well into the night. It was a frenzy. Not Voinovich, of course. He was probably in bed by nine. I went back to the cigar bar. The next morning, it was time to check out and I climbed on board another El Conquistador van for the ride back to the San Juan Airport. This improbable assignment was over. To this day, it sometimes seems like a dream. But it happened. And there was no rum-and-Coke on the way back to the airport. As long as I cover politics, I will remember the name Rob Burch as a politician with nothing but moxie. I could not blame you if you don't recognize that name. I do miss George Voinovich. The former Cleveland mayor, two-term governor and U.S. Senator died June 12, 2016 at the age of 79, just about a month before he was to be a delegate at the Republican National Convention held in his beloved hometown of Cleveland. Editor's note: We know better than to talk politics at Thanksgiving, so in place of Howard Wilkinson's usual "Politically Speaking" column, today we present you with this "Tales from the Trail" from 2017, recounting our politics reporter's most memorable Thanksgiving yet. Wishing everyone a happy Turkey Day free of arguments over politics!